1999 Chevy Express 3500. I need to know if I have a 4L60 or 4L80. Can't find anything under the hood. Part store could not tell me through VIN #. How can I find out? Please help. Thanks. 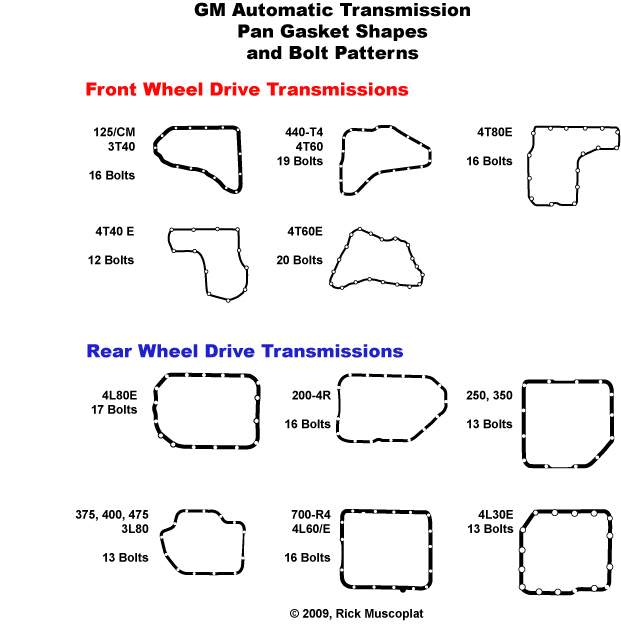 Look at the shape and the number of bolts in the transmission's pan. Unsure at this time. Due to recent storm I cannot crawl under to check. Do you know how many for each? look up...sorry edited while you were responding. Thank you. I think it's the 4L80 because it's a one ton van with a 5.7 liter vortek. Do you agree? I can't get under there until tomorrow night and I have to order a flywheel. There is a sticker that has a bunch of numbers and letters on it. I believe it is on either the driver's or passengers door jam near the latch. The sticker basically tells you what options the vehicle is equipped with. Glad to see you figured it out. Thanks for the follow up. Closed as OP's question was resolved.